Head Lites light up the night, whether exploring outside or reading in bed. 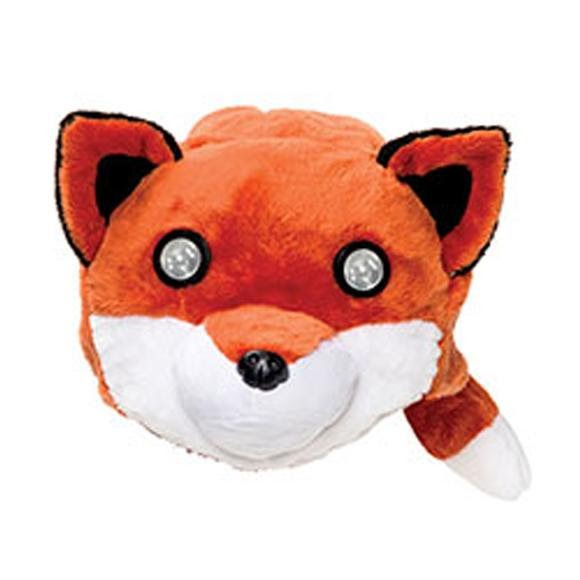 Each soft and cuddly Head Lite has two independent lights that shine from the character's eyes. Just touch the ear to click on and off. You can adjust each light to shine in different directions (i.e. up, down and off to the side)! Requires 2 AA batteries (not included). Head Lites light up the night, whether exploring outside or reading in bed. Each soft and cuddly Head Lite has two independent lights that shine from the character&apos;s eyes. Just touch the ear to click on and off. You can adjust each light to shine in different directions (i.e. up, down and off to the side)! Requires 2 AA batteries (not included).